Forty hunters in Mazandaran Province took part in Environment Week by taking an oath to give up hunting and guns. IRNA reports that the hunters expressed remorse for hurting nature and they signed a promise and recited an oath never to take up a gun or go hunting. The hunters also symbolically broke two hunting guns and several bird cages. Nasser Mehrdadi, the head of Mazandaran Environmental Protection, lauded the hunters and said: "Farewell oaths by hunters and asking forgiveness from nature are aimed at promoting the culture of environment and wildlife protection." 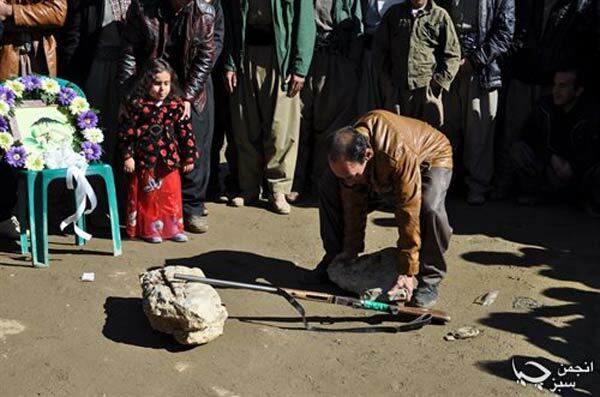 The Sabz Chia Association, an environmental group, received the National Environment Award for its campaign against hunting in Kurdistan.